Since the days of the Wild West, Grand Junction has been home to entrepreneurs and mavericks. Chuck Hull, inventor of 3D printing, was born in Grand Junction. The first drone to be used in law enforcement in the country flew here at the Mesa County Sheriff’s Department. And Colorado’s oldest solar energy company, Atlasta Solar, is based here. In the last three years, we’ve launched 13 companies through the Rural Jump Start tax incentive program, which supports companies that create technologies, products and services new to the state. Colorado Mesa University (CMU) – the fastest-growing university in Colorado, with an enrollment of 11,000 students – boasts programs in mechanical and electrical engineering, and is home to the Maverick Innovation Center, a launchpad for student-led enterprises. From the university to our local workforce center and business incubator, we create unique training programs specific to the jobs and industries that exist in our valley, as well as help local companies find the workforce they need to grow. We also have a number of training and workforce incentives that offset the wages of new employees so that companies are able to grow quickly and efficiently. In western Colorado, we have room to grow and the resources to support that growth. We also have a culture of collaboration that supports sustainable development and a comprehensive plan that makes sure that growth is done in a smart way for the future. The Rural Jump Start tax incentive is one of the most lucrative incentive programs in the country and allows new businesses to operate tax-free for up to eight years. Grand Junction is also home to six of Colorado’s federal Opportunity Zones, that support capital investors in rural regions. We recognize that time means money, which is why our straight-forward planning and permitting process takes 90 days from application to approval. 5. THIS IS THE COLORADO YOU WERE PROMISED. In short, Grand Junction offers all the benefits of living and working in Colorado at a more affordable cost, which makes it the ideal place to launch a new endeavor. CONTACT GJEP TODAY TO SEE HOW YOU CAN GROW A BUSINESS IN GRAND JUNCTION. 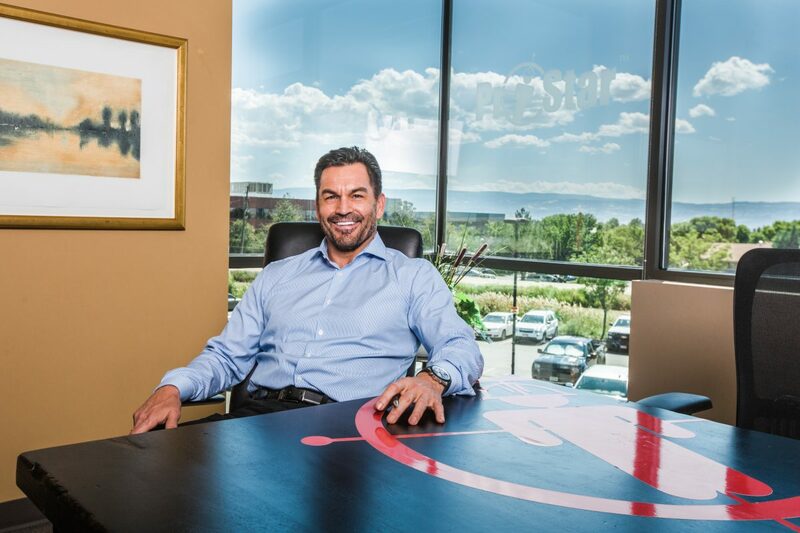 Photo credit: Page Tucker, Founder and CEO of Prostar Geocorp, has created a mini-incubator for tech startups in his offices in Grand Junction. His efforts earned him the AVEX Entrepreneur of the Year award in 2016 and his company is set to go public this year. *This content is a continuation from the Entrepreneurs Smartbrief Publication that ran on 2/19/19.